It has been more than 40 years since Christo showed his Air Packages on the Documenta IV, Minneapolis, Minnesota and in the Van Abbemuseum in The Netherlands. 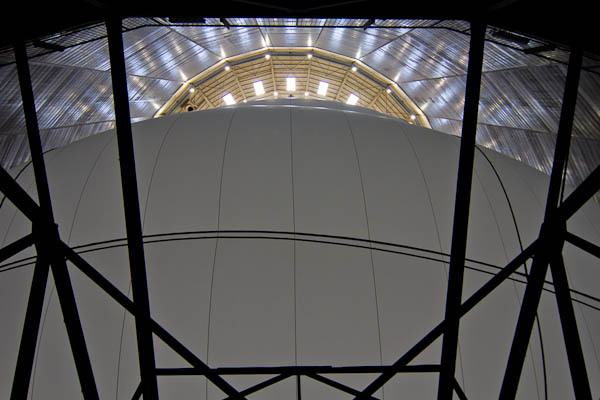 Now he is back with an even bigger package appropriate named « Big Air Package » in the Gasometer in Oberhausen. And big is it. 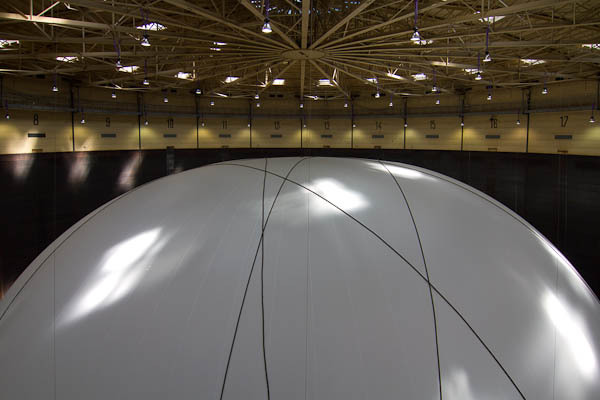 It is even referred to as « the biggest indoor piece of art » suggesting that size does matter most. 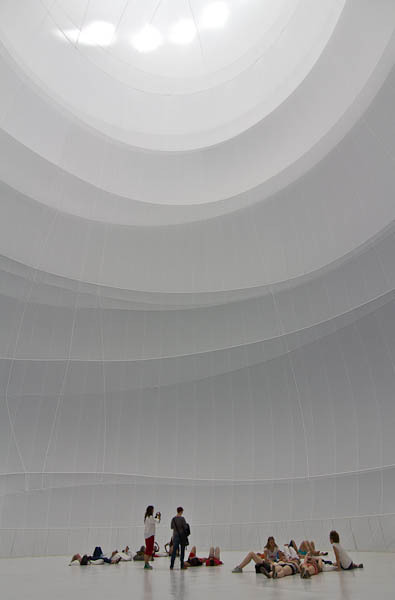 With this installation Christo has made something very attractive and eye-catching but as we also have seen the mammoth installation Leviathan of Kapoor in the Grand Palais in France we figured that the Christo piece was missing something. 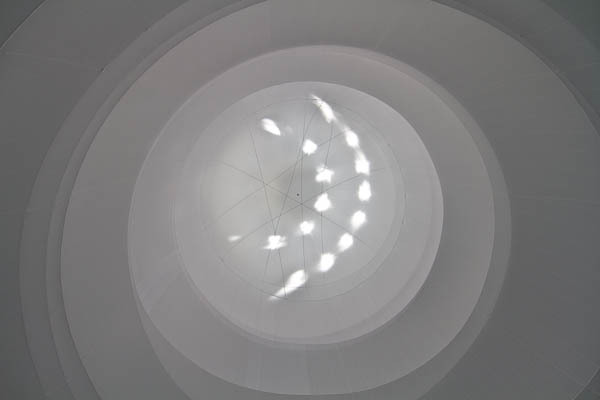 Big Air Package looks like it is just about aesthetics and is one way or another lacking the persuasion power the Kapoor piece did have. 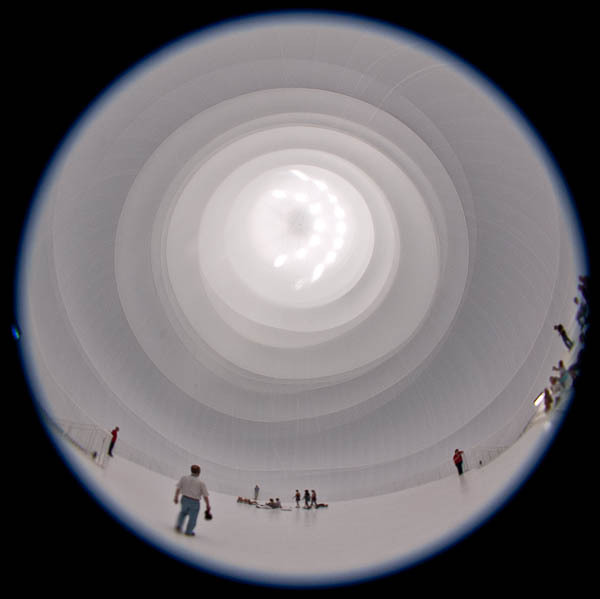 Maybe it just got out of touch with the present, not too surprising given the fact that Christo started the work on the Air Package series more than 40 years ago. Having said all this, the work is still a very compelling piece of art and absolutely worth the trip to the Gasometer in Oberhausen. Attention! 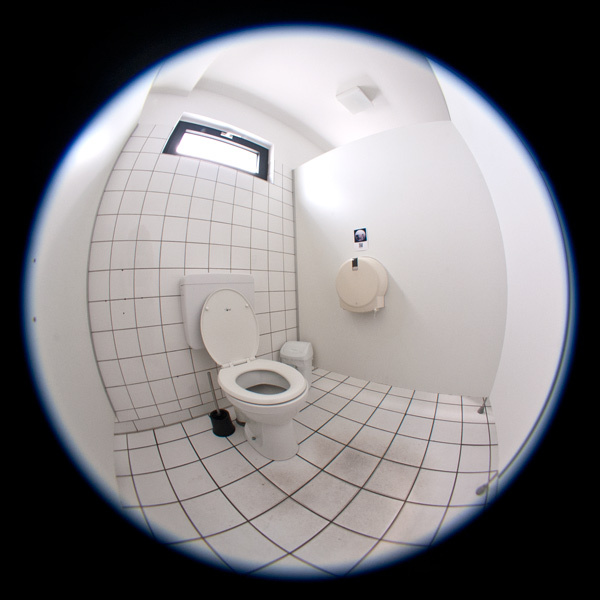 Besides Christo is in the Gasometer in Oberhausen also an WCCV exhibition with the WC of the Stedelijk Museum in Amsterdam i.o. to augment the CV of Pronk van der Meijden.